So, I have been a total chicken lately. Completely punked out of boxing and going to the gym. Last night was my first night back in close to a month. Boxing is hard enough when you have been working out all the time, your first night back awakens muscles that you completely forgot about. I am so glad that I finally went back. So, what is it about boxing? Why do I love it? I love boxing because it is a workout that is deceptively simple. I show up to class and follow directions. (Okay, I try to follow directions, but I still get my left and right confused, and find new combinations insanely difficult. I mean roll-out? Just Duck, Nyki…. what? Why? Why can’t I do this? Oh… you mean duck. Like this? No? What? I can’t do this! Is my turn almost over? You are still expecting me to do this? What? No! I should be at home. Oh!!!! I get it. woo- hoo! I did it! What??? I have to do it again? This is embarrassing. Oops. I messed up. What do you mean, pay attention? GRRRR.) Terry, my coach is a man with infinite patience. He has never let me feel like I cannot do it. He makes me do it until I get whatever it is that he has decided I am going to do. This is good for me. I need the feeling of accomplishment. I get so excited when I finally figure out what he was trying to explain. 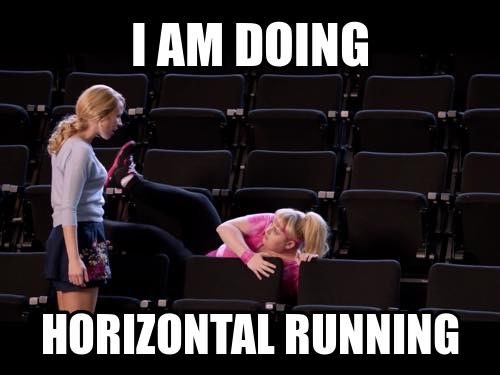 I struggle with foot work, and I have very little stamina. 3 minutes (I think it is 3 minutes, it may only be 30 seconds.) is so long! An eternity. Turns out, it takes so much more than just your arms. My right calf takes a beating every single class. 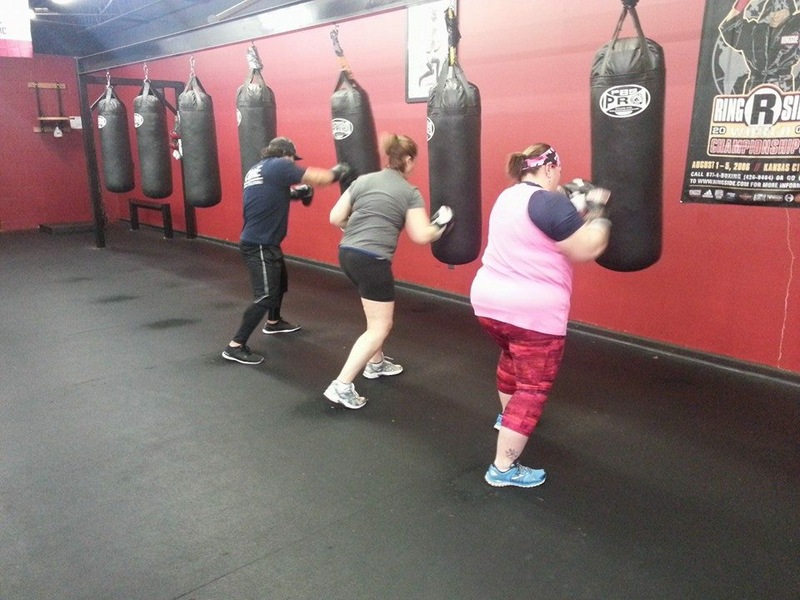 I never dreamed that boxing would be a total body workout. It requires balance, and it requires a certain level of mental strength. You push until you think you are actually going to die, and then you keep going. No workout is complete without a least one selfie. Owww. My calf was on fire after about 30 seconds. I wanted to quit. But, then he pulled out the camera. I hate to look like I am just standing there while he has the camera out. It is embarrassing. So, if you wonder why I love boxing. I love it because it is the most challenging thing I do. I get pushed to limits that I are so much farther than I thought I had. It is the best workout I have ever done. I am not going to give up, and I am not going to miss a month ever again. 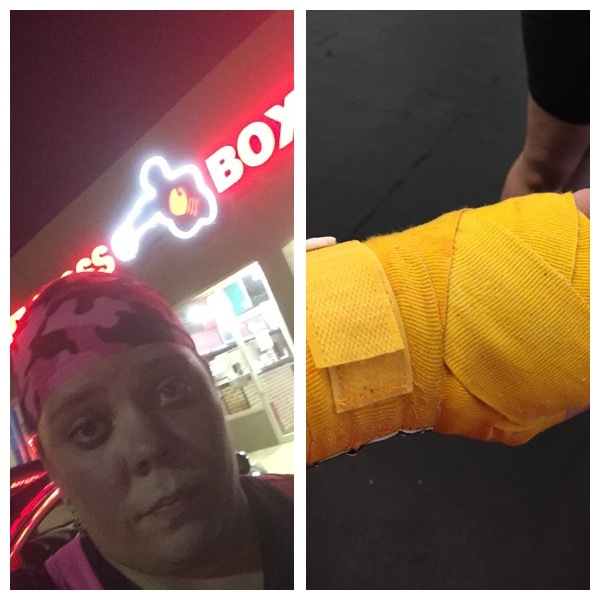 *Photos of boxing class shamelessly stolen from my coaches FB. He tagged me, so I am gonna call it fair game. Hope he does not mind. 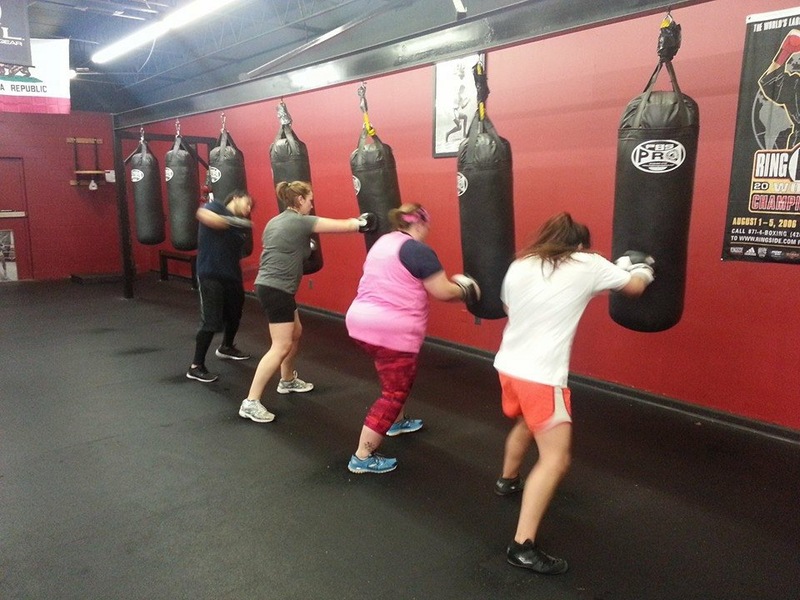 ** I take classes at Right Cross Boxing in Lubbock. Seriously, the best trainer I can imagine. Next The Gift of Family… and thoughts on Parenthood. Fantastic, Nyki!! I wish we lived closer – I’d love to go to boxing class with you. And by “love” I mean “probably hate” but then we could go get a drink. I don’t think we would be able to handle a drink after this class! All you crave is water! You would love it!